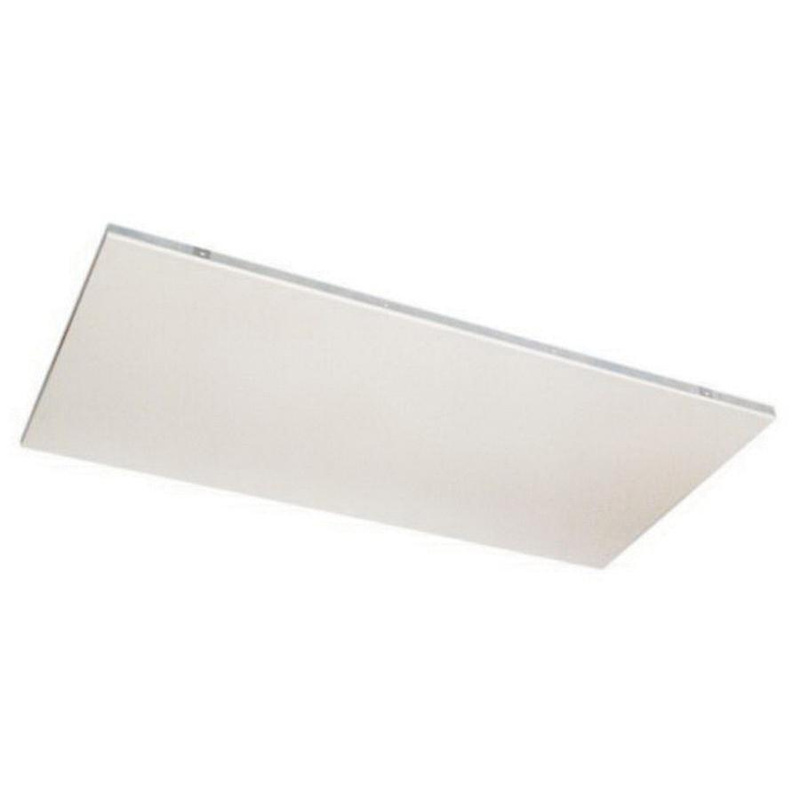 Q-Mark Standard, CP Series radiant ceiling panel has galvanized or aluminized steel housing construction with high temperature fiberglass insulation for durability. It features an encapsulated casted element that ensures uniform temperatures across surface and unit longevity. This radiant ceiling panel includes ground wire and 48-Inch lead wires that are housed in flexible metal conduit. It operates at voltage rating of 240-Volts, current rating of 3.1-Amps and power rating of 750-Watts. Hanging clips provide holes for support chains. Explicitly it is suitable for offsetting perimeter heat losses or providing primary heat to an entire space. It is perfect for offices, hallways, lobbies, conference rooms, retail spaces, locker rooms, laboratories, yoga studios, living rooms, bedrooms, bathrooms and basements. Radiant ceiling panel is cULus listed and CSA certified.